Home » Is Bitcoin a Bubble? Will it Break $17,000 Again? Bitcoin’s staggering rise came within a hair breadth of $20,000 in November from just $1000 at the start of 2017. It has been hovering between $13,000 and $15,000 since then. The record breaking market run followed by the sharp fall in value has sparked fears of a bitcoin bubble. Recent jitters about harsh regulation from countries such as South Korea, one of the most active markets saw bitcoin prices tumbling down to record lows in recent months. Is bitcoin’s value inflated? Is it a bubble about to burst. Will bitcoin break the $17,000 upper resistance? Does it have enough gas to take it beyond $17,000? These are the questions many anxious investors are seeking answers. To answer these questions, we must first look at how bitcoin works and how it operates in the market. For one, the code used to build the cryptocurrency limits the bitcoins that can ever be generated to 21 million. The number of bitcoins that can be generated through a process called mining halves every year. Ordinarily, this would well for bitcoin prices. The limited supply and skyrocketing demand should see prices soaring indefinitely. The reality is that bitcoin does not have any intrinsic value unlike for example gold or oil. It is a highly speculative asset which has seen wild swings sometimes up to 50% in just a day, creating the noise of a bitcoin bubble. 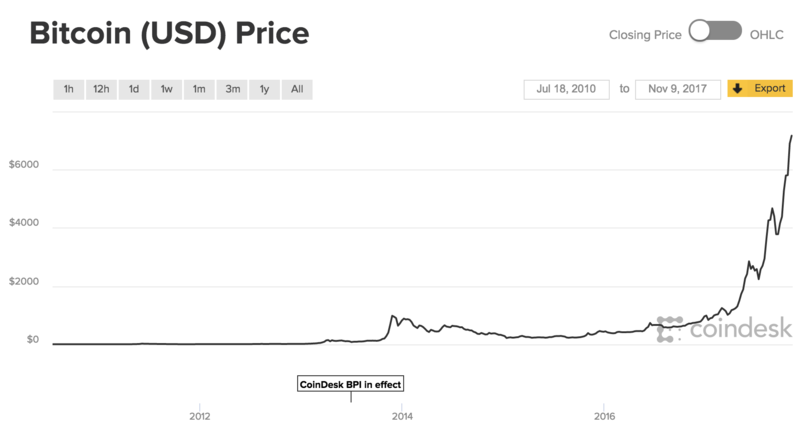 In a record run, bitcoin quickly blasted past $5000, $10,000, $15,000 in a matter of months before retracing just when people thought it would consolidate around $17,000. So why has it failed to break the $17,000 upper resistance for so long? What explains the Bitcoin surge? A number of factors may be responsible. It is quite possible that its rapidly rising price was not quite a reflection of its value. In fact some analysts who are sceptical about the digital asset have compared it to the seventeenth century tulip mania in Europe. Looking at the graphs, one would be forgiven for thinking this way. Warren Buffet is one of the latest investors to weigh in on the debate. “You can’t value bitcoin because it’s not a value producing asset,” he said. “It doesn’t make sense. This thing is not regulated… I think it’s going to implode,” he added. CBOE’s listing of bitcoin was expected to lead to a spike in bitcoin prices and mark the entry of institutional investors. So far the introduction of bitcoin futures has not had much impact on the market. But overall, the established financial industry was not simply prepared to take the highly volatile asset in. In fact, the Futures Industry Association complained the process of investing was moving too fast and that there was need for more regulation. But if there is something the listing has done, it is to give bitcoin the legitimacy it has always struggled. Before entering the mainstream, the cryptocurrency was a favourite for the underground world selling drugs and engaging in other illegal activities. 2017 was the year bitcoin got out of this dark web. Even the Japanese and South Korean governments appeared to recognize it as a possible method of payment. Financial institutions took interest and soon the likes of Nasdaq wanted in. ICO mania was at its highest with small start ups raising millions on a matter of hours. For investors, this was a reassuring indicator as to the underlying bitcoin value. All these reinforcing factors have seen bitcoin’s meteoric rise. But what happened around the $17,000 mark? The bitcoin bubble, amid the rise, various theories surfaced to explain it. Others claimed well financed individuals were engaging in a pump and dump scheme to make massive profits. Others thought people were sitting on bitcoin with high expectations about its value in the future. Massive hacks of bitcoin exchanges such as South Korea’s Youbit and mining marketplaces like NiceHash in which millions of dollars worth of bitcoins were lost raised serious questions about the security of investments. Confidence in the cryptocurrency has previously been shaken especially in 2014 when Mt Gox, the largest exchange then was hacked resulting in the loss of billions worth of bitcoins. But bitcoin has almost always rebounded from such mishaps, incentivising the bitcoin bubble. Bitcoin ATMs are growing by the days and apps to buy and sell bitcoins are mushrooming. The process of taking bitcoin to the mainstream seems well underway. But the biggest threat to bitcoin’s value is indecision by governments around the world on how to treat the asset. Government crackdowns will no doubt have a serious negative effect of bitcoin prices. But its nature as a virtual currency operating in the internet makes this prospect less likely. Regulation is what bitcoin exactly needs if it is to move forward. The cryptocurrency has been particularly popular outside the financial capitals of the world. The surge has largely been driven from third world countries and even encouraged in countries facing financial crisis like Zimbabwe. Any further substantial rise it is argued will come from big investments; read from more developed countries. This will only come if they can be assured of the security of their investments. Once this happens, we expect the value to stabilize and attract more institutional investment. It is also possible to see why people would want to hold on to bitcoin. Why sell bitcoin now when its price could hit $1 million in 2020? On the flipside, investors holding substantial amounts could try to sell them and cash in. If they fail to find buyers, it could trigger a frenzy for the exit which could see its value crash. On the other hand, a small uptick could see the march resume again. There are a lot of factors at play but true legitimacy is what the market currently needs for bitcoin to break the upper $17,000 resistance.